Selling your house and moving to a new home can be exciting, but it can also be a challenging prospect. There is a lot of work to be done to prepare your house for a move, and some households find moving to be a stressful and even emotional time. At Patrick Williams, we aim to support you from start to end. If you are keen to sell your house, we are here to assist you. However, if you are looking for guidance and advice for the move itself, we have your complete home movers guide. While a lot can happen in two months, if you know that you are moving home in two months, you have a chance to organise the move. There is a lot of administrative work associated with property moves, so at this early stage, make sure you have insurance and look out all the documents you need to update when you move house. At six weeks away from the move, the process becomes more exciting, and this is the time to start physically preparing for the move. This is the time to declutter your belongings and if you don’t need to take items with you, don’t. If you aren’t going to use things in your new home, disposing of them will make the moving process more comfortable. You don’t need to throw items away if you aren’t going to use them; you can sell them or pass them on to charity. If you require additional storage space to make the move easier or give yourself more time to consider what you need or don’t need, now is the time to arrange this facility. If you need assistance in decluttering your home, bear in mind two leading charities in Reading will collect furniture from you, free of charge. Contact the British Heart Foundation and Christian Community Action for more details. We are also pleased to say we have a “man with a van” who we have worked closely with for more than 20 years. If you need assistance with house clearances or rubbish removal work, he is ideal, and we can put you in contact with him. Also, if you are going to hire a removal company, obtain quotes that will help you make an informed decision as to who to hire for assistance. If you are going to ask friends and family members to assist you during the moving process, tell them of the date and ask them to keep it clear. With one month to go to the move, you will have a lot to do. This is a suitable time to contact utility providers, banks and any other company who need an updated address for you. If you are moving to a new area, review GPs and dentists to find the best option and then register with them. At two weeks before the move, it is time to focus on the practicalities of moving day. You should confirm dates and details with the removal company and the estate agent. If you have children or pets, you should make plans for them on moving day. If you need assistance in dismantling appliances, arrange this in advance. Two weeks before the move is a suitable time to start whittling down food in your cupboards, fridge and freezer, leaving you with enough food to last until the move, but no more. If you want to redirect your post to your new house, arrange this with the Royal Mail. Royal Mail require five working days’ notice to redirect your mail, so bear this in mind and leave yourself enough time to make your request. With a week to go, make sure that all payments to the removal company are in place and start the cleaning process. Make sure that you defrost the fridge and freezer before moving day, leaving these empty and in good condition. You should also have most of the packing completed. If you have instructions for individual boxes, for example, they should be placed in a particular room or that they are fragile and should be handled carefully, make sure the boxes are labelled. Moving day is likely to be busy, but with a plan, it will be a simple process. If you have energy meters at home, record the figures. Have maps and instructions to hand to people, and make sure you allocate time to speak with people who are helping you. Carry out a last minute inspection, cleaning and wiping as you exit each room. Before you leave, make sure you close all windows and that all doors are secure. What time can I collect my keys on moving day? You won’t be surprised to learn this is the most common question people ask us. Legal completion can happen as early as 10.30am on the day, but more commonly occurs between 11.00am and 1.00pm. Legal completion is the point at which the sellers' solicitor receives the monies from the buyers' solicitor. The house is then legally yours. 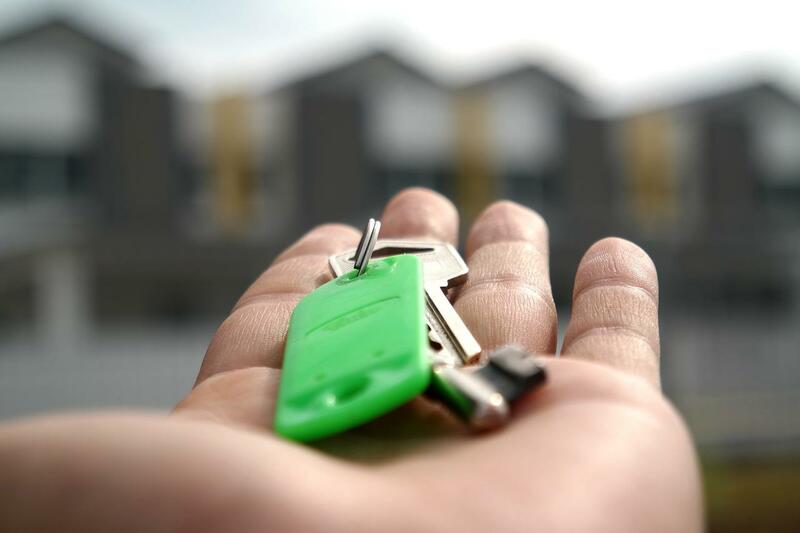 However, bear in mind, it is not always possible to collect keys and gain access to the house immediately, however, because the seller may still be in the process of vacating and waiting for keys to their onward purchase. We will keep in touch in with all parties on moving day and call you as soon as we are in a position to release keys. Make sure that you have food and drink for the people that help you move and keep a box or bag of toiletries, and necessary items close at hand. Things like towels, soap and a kettle can make the moving process so much easier! If there are items you must unpack immediately, do so. If you have young children, creating a sense of normality and consistency will help them. However, allow yourself some time to settle into your new home and if friends or family members have helped you out, thank them and take some time to relax with them. Moving home can be stressful, but with the right approach, it can run smoothly. At Patrick Williams, we are pleased to say we have helped many people sell their house and move home. If you would like assistance in this manner, please get in touch.